I’ve got a great new Free Beanie Hat Pattern, in four sizes, for you today! 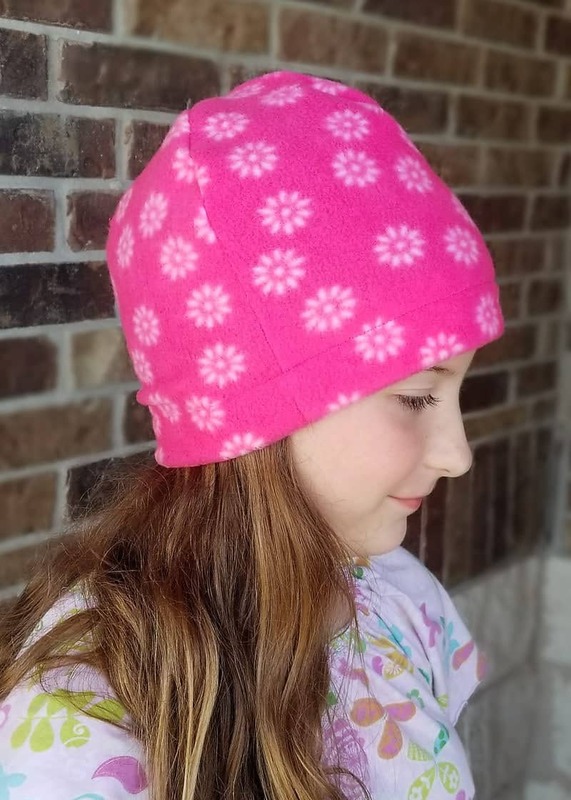 This free fleece hat pattern is the perfect sewing project for beginners, stocking stuffers, holiday gifts and using up all your leftover fleece! 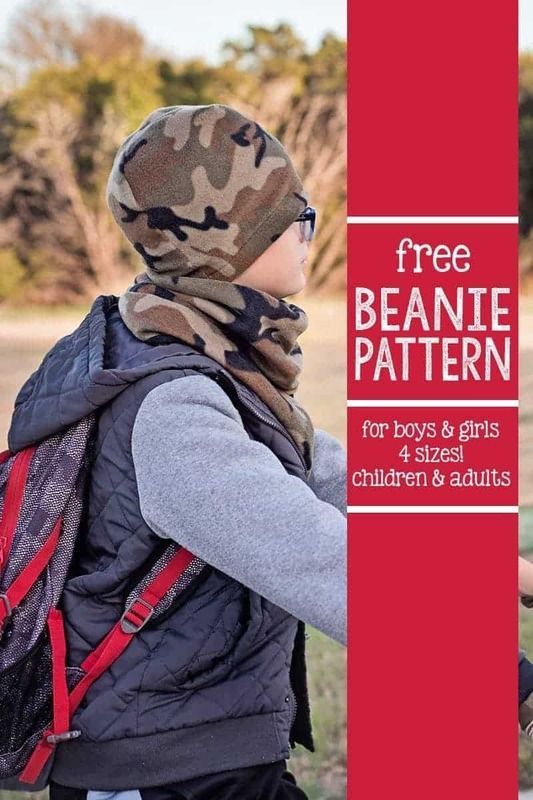 If you’re anything like me and are planning to purchase some fleece during all the Black Friday sales, this is the perfect pattern to use up scraps and these little fleece beanie hats and scarf sets make perfect stocking stuffers too! 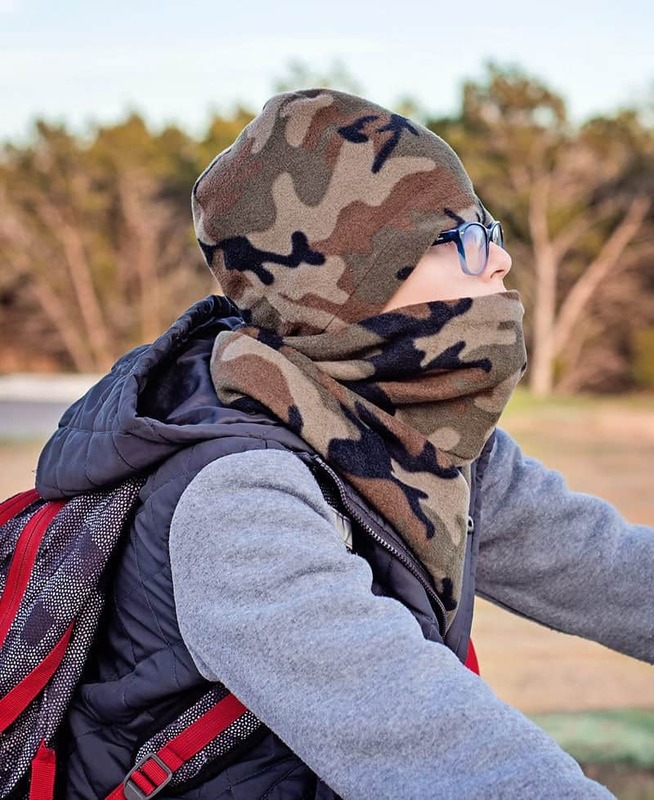 My son rides his bike to school in the morning and has been complaining that his ears are freezing. I told him, just wear one of your beanie hats to keep them warm. That’s when he informed me he had lost both his hats. One this summer at boy scout camp (they went to Colorado) and the other somewhere at school. 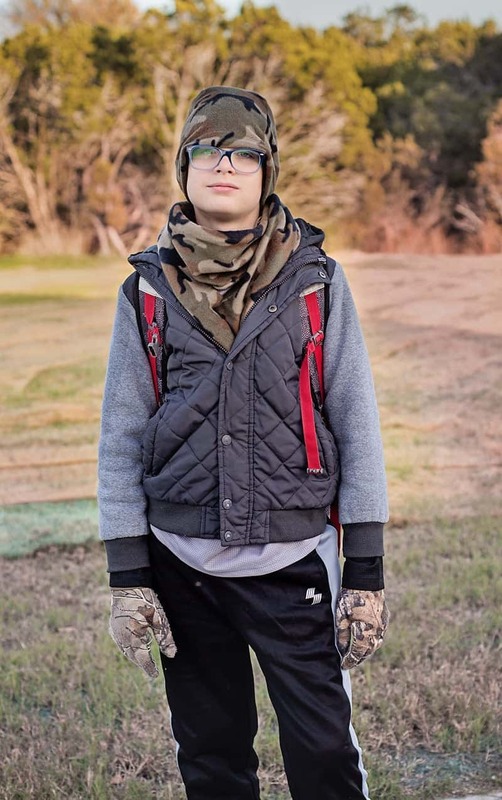 I do have a super cute beanie hat and scarf set tutorial here, but the pom-pom on top makes it kind of girly and not so great for a middle school boy, lol. It comes in 4 different sizes, child 3 to 6yr child 7 to 9yr, preteen/small adult and adult large. Just for reference my son and I wore the adult small and my missy the child 7 to 9. The fleece was stretchy, so my Hubby could squeeze into the adult small, but the adult large was a better fit for him. 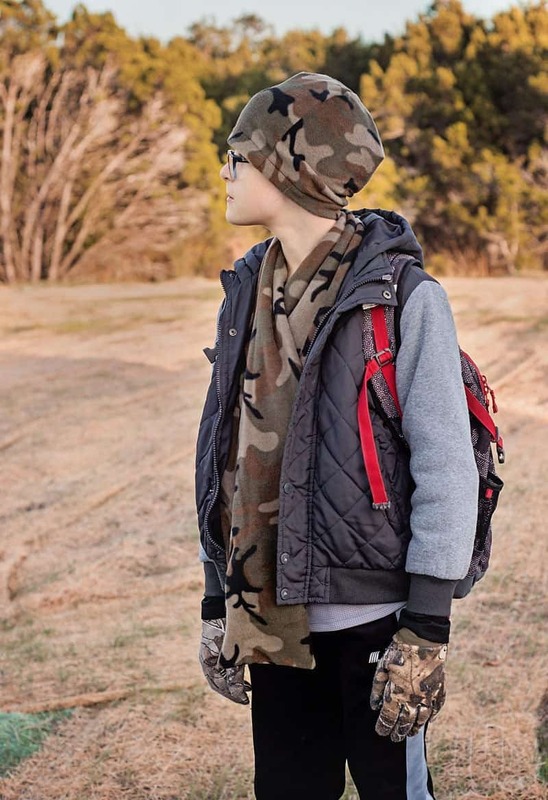 The scarf pattern is here and a more feminine fleece scarf here. Handy hat sizing chart here if you don’t have a little one to measure. Ready to sew your own version of one of these beanie hats? Head over to page 2 to download the pattern and then over to page 3 for the instructions.